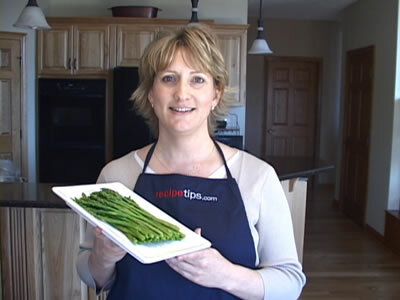 Use RecipeTips.com's handy video demonstration to learn the easy way to prepare roasted asparagus for all of your tasty asparagus recipes incorporating the unique flavor of roasted or baked asparagus. 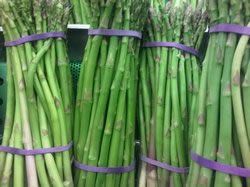 Today we are going to demonstrate how to roast asparagus. 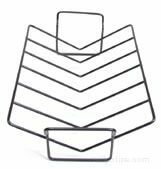 Begin by preheating your oven to 450 degrees Fahrenheit. 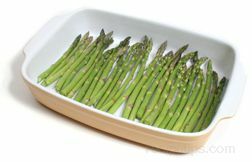 Lay your bunch of fresh asparagus that have been washed and the woody ends trimmed off, onto a rimmed baking sheet. 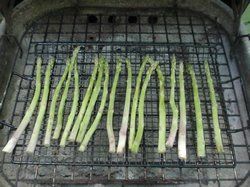 Make sure that you have them in one single layer for even roasting. 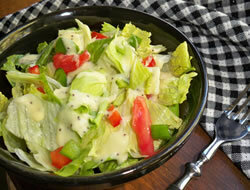 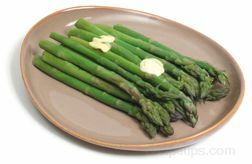 Drizzle the asparagus with one or two tablespoons of a good quality olive oil. 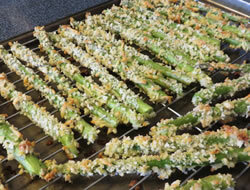 Next sprinkle the asparagus with either regular table salt or sea salt. 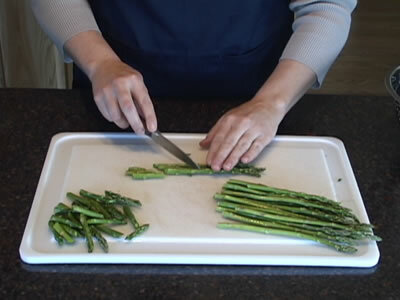 Gently shake the baking pan to evenly distribute the oil and salt onto the asparagus; use your hands if you need to. 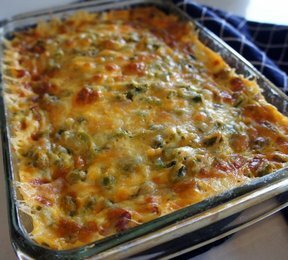 Get the asparagus back into a single layer. 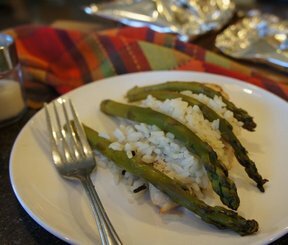 Place your asparagus into the preheated oven and allow it to roast for 11 to 17 minutes. 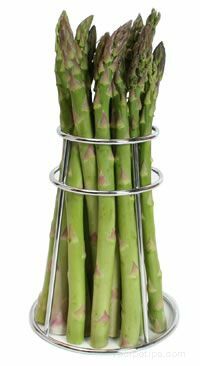 Once or twice during the roasting time you will need to shake the pan in order turn the asparagus to allow for even roasting. 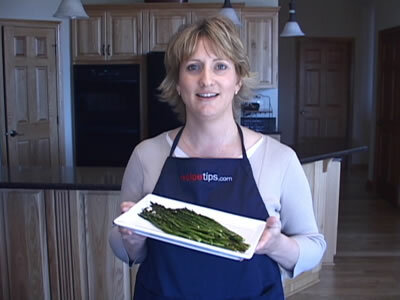 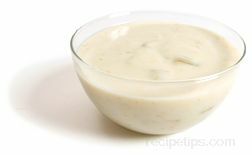 For more great information on cooking asparagus, including recipes, visit RecipeTips.com.